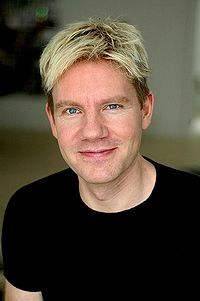 Bjorn Lomborg is a Danish professor of statistics, best known for his book The Sceptical Environmentalist which points out a number of exaggerated claims and outright scientific errors made by environmentalists. He suffered concerted efforts to discredit him (e.g., by Scientific American and Nature), and he was completely vindicated by the Danish Ministry of Science, Technology and Innovation. The Ministry said that since they only cover Science and what Lomborg does is not scientific, they were unable to rule that Lomborg's work was poor or wrong science. His more recent book, Cool It, points out the exaggerated doom and gloom claims related to global warming are in many cases false, and that the proposed solutions, namely forced drastic cuts in carbon emissions, will cause far more economic damage and poverty than any global warming conceivably could. Accordingly, he opposes the Kyoto Protocol and calls for prioritizing issues that are far more important and pressing than global warming, such as AIDS and hunger. Lomborg is openly gay and a vegetarian. This page was last modified on 13 May 2017, at 04:41.